Within a hospital, registrars perform a variety of different tasks on a daily basis. These tasks may include helping patients understand documents related to their care, submitting information into electronic systems, and processing admittance paperwork. 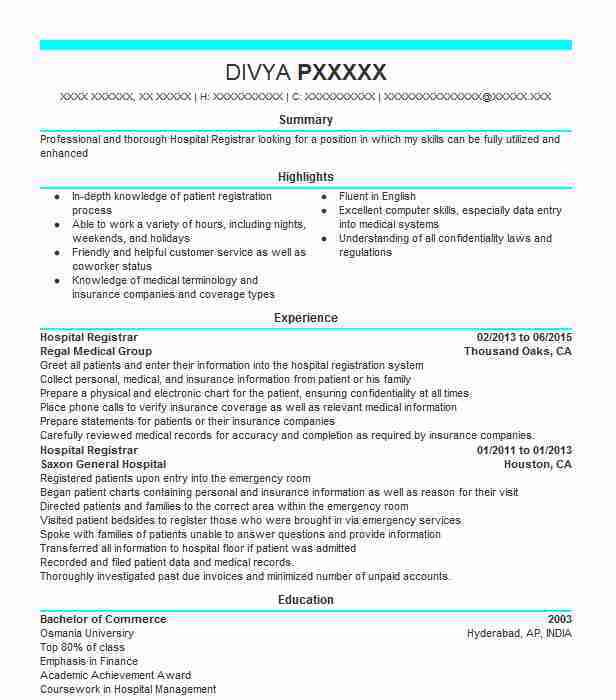 If you are interested in working as a hospital registrar, the objective on your resume should illustrate that you possess the skillset necessary to excel in this position as employers view this document. 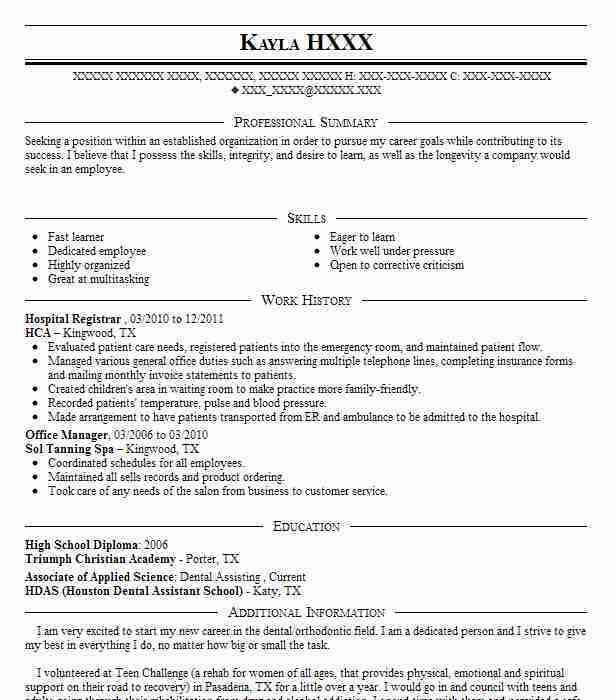 After potential employers pick up your resume, one of the first things they will likely notice is your objective on the top of this document. Since your objective is often what makes an impression on employers, it should clearly demonstrate that you will be the best one for the open registrar position. To do this, your objective should provide a brief overview of who you are, what your skills are, your experience and training, and what you can do for that particular hospital. It should also help potential employers better understand why they should give the position to you. 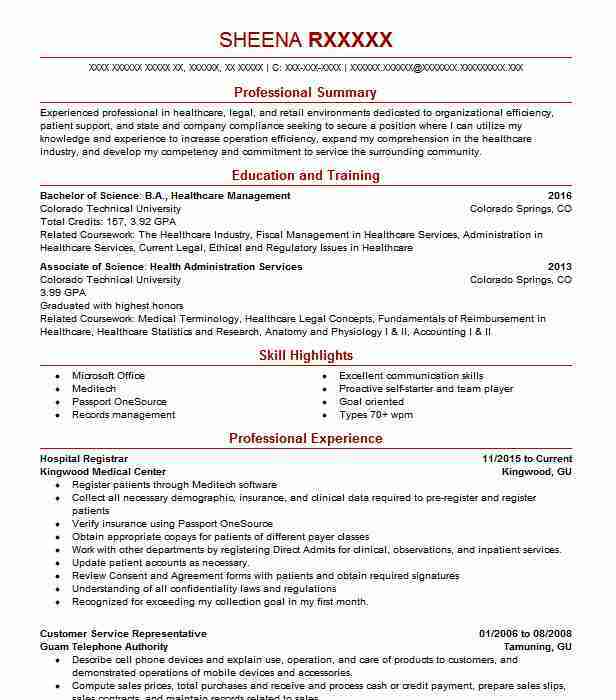 As you start to write you resume objective, it is best to be as straightforward as possible. This way, employers are able to quickly grasp what you are able to do for them and the hospital. 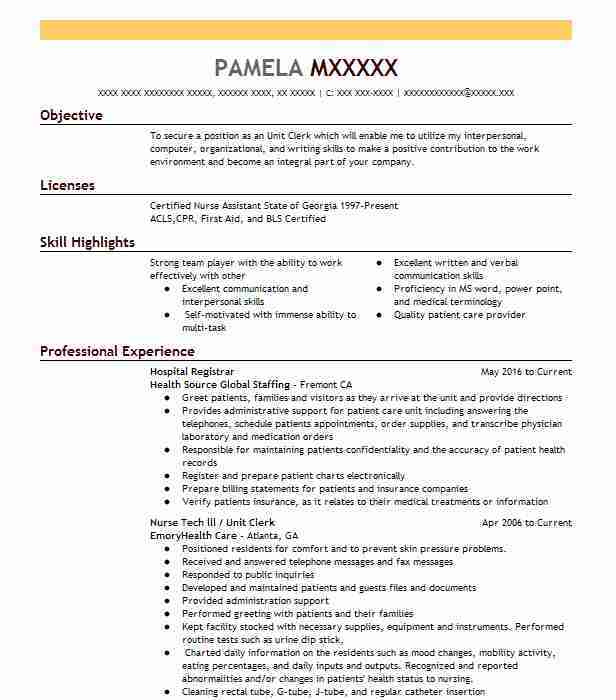 These sample resume objectives may help you better understand what your objective should look like. 1. Knowledgeable hospital registrar interested in position with ABC hospital in order to gain opportunities for personal development. 2. Acquire employment with ABC hospital as a registrar and provide patients with needed assistance as they are admitted to the institution. 3. Seeking a position with ABC hospital in order to properly record crucial patient data and assist people during the check-in process. 4. Experienced registrar interested in position with hospital to gain more experience and develop skills for working in a medical setting. 5. 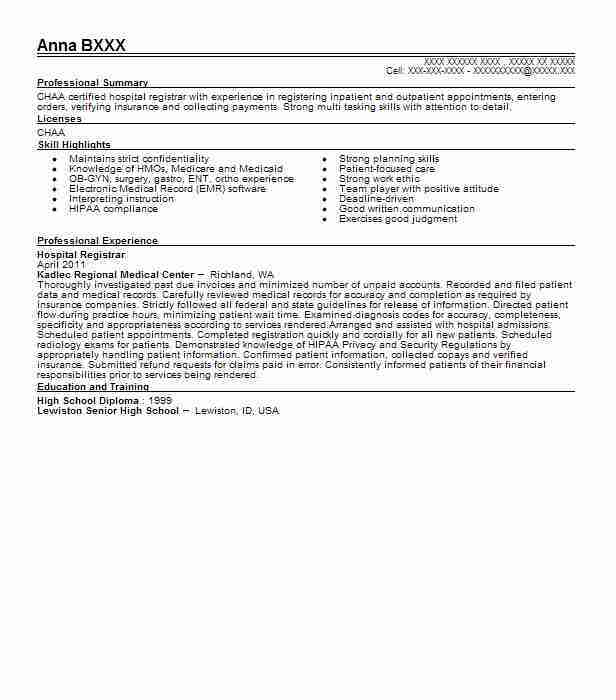 Looking for job as hospital registrar with ABC organization that could benefit from a detail-oriented employee.